His friends don’t believe him, but Angeli Valenzuela swears that he built his present wealth on being a humble food cart franchisee. 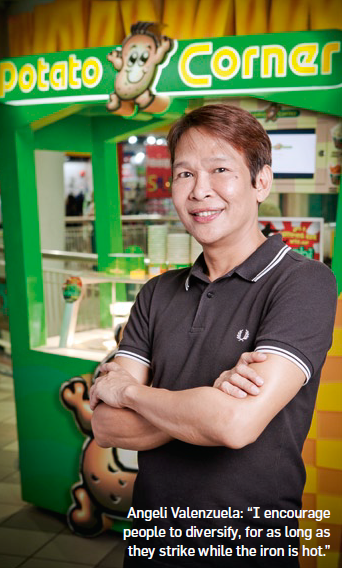 An architect by profession, Valenzuela owns three Potato Corner outlets—two at the Festival Mall in Alabang, Muntinlupa City and one at Robinson’s East in Cainta, Rizal—while holding down a 9-to-5 job as an operations manager with a top department store chain. With the combined income of his flavored French fries carts, his paycheck, and several other investments (more on that later), Valenzuela has built a modest nest egg, bought several condominium units, and is ready to jump into his own business of property development using capital he raised by himself. His savings went to paying the franchise fee, fees for business registration and permits, and the rental deposit for his cart, but Valenzuela—who’s “almost 50” now—cautions aspiring entrepreneurs to be ready to spend more than what’s required. But how exactly did he save up for the business? By putting “small amounts” into a time deposit account, “to get into the habit of setting aside money” that couldn’t be touched or withdrawn instantly, says Valenzuela. Usually, when his friends ask him what’s a good business to put up, “they expect me to tell them or give them a business format or template to start with,” he says. 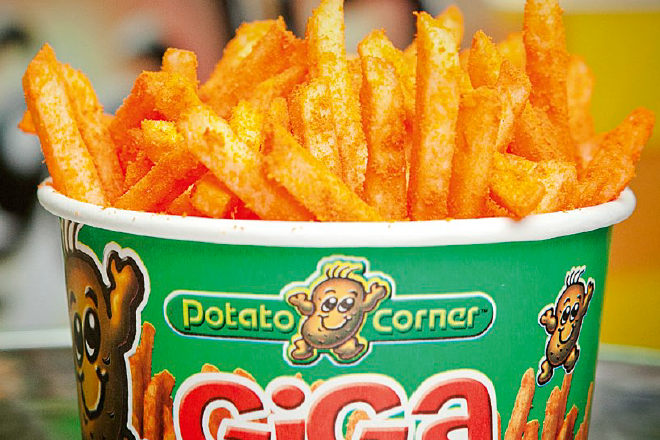 Case in point: with the earnings from his three stable food carts, Valenzuela managed to add two more Potato Corner carts and venture into another franchised business, this time in the service industry. But all three faltered; the new food carts were in locations that catered to lower economic classes that found flavored French fries too costly, and the service franchise had too many issues, forcing him to sell the business after a year. “I am thankful to Potato Corner for giving me this kind of financial freedom, even if I tripped up several times,” he adds. “But with a proven brand, your foot is already in the door.” That’s something Angeli Valenzuela’s friends can believe. This article was originally published in the January to February 2012 issue of Entrepreneur magazine. Subscribe to the print or digital version here.